I received a text message from my father asking if I could research something for him. He asked to find a particular set of tires that he remembered when he was at the Daytona 500 in 1969. “A Superbird [car] with transparent tires that lit up at night, which might have been a promotion”. I thought, wow, I couldn’t imagine what it could looked like, but knowing my father’s in-depth knowledge of cars combined with his racing experience, I proceeded on the quest; it must be something cool. What I found was amazing. I first located glow-in-the dark tires that Goodyear put out in the early 1960s and that wasn’t quite right with dad, so I looked further. 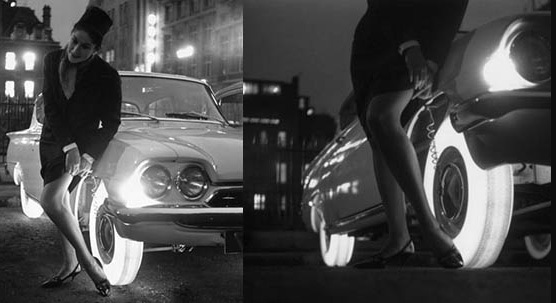 I couldn’t believe that I found that Goodyear continued to tinker with the styling of the tire, and created the Illuminated tire in 1961. 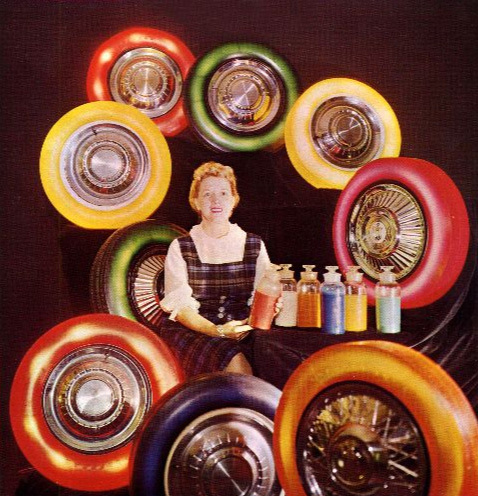 The glow was achieved by adding small incandescent bulbs on the inside of the tire that were mounted on the rim. 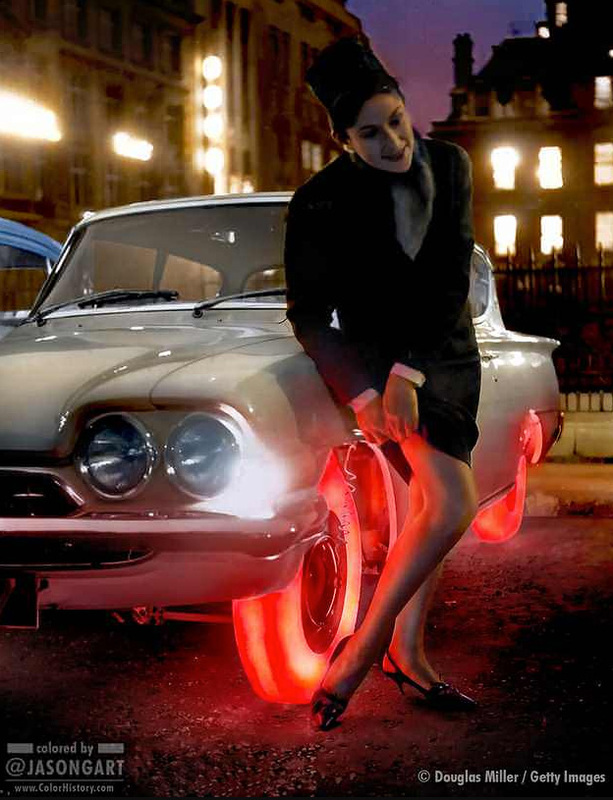 In order to see the light/glow, they had to use a thinner rubber for the tire itself. Unfortunately, these beauties didn’t last, due to regulation laws for street-tires, but they sure make an impression, like they did on my dad. After the actual tire was located, (sans the Superbird), Dad further explained that he was trying to explain these lit-up tires to a friend of his, and his friend did not believe him. I wasn’t able to locate pricing for them, or adorned on the Superbird, but what a fun fact to know. Thanks to my dad for teaching me something new!